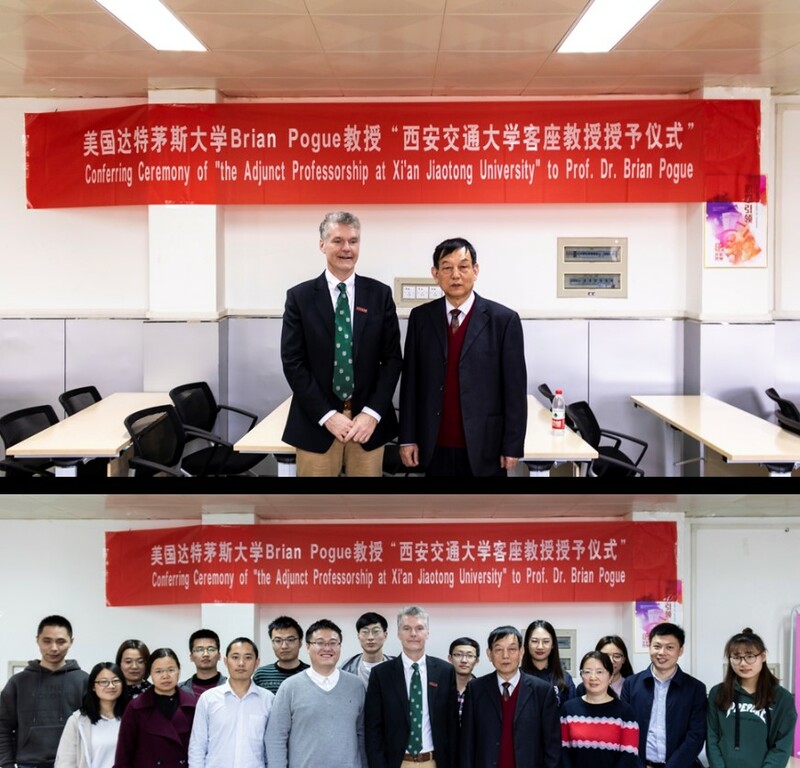 On March 15, 2019, Professor Brian William Pogue of Dartmouth College visited the School of Life Science and Technology of XJTU for academic communication and acceptance of being appointed an adjunct professor of XJTU. Professor Brian William Pogue gave an academic report entitled “optical imaging-guided surgery and radiation therapy”, which mainly introduced the research progress of Cherenkov light imaging in radiation therapy. After the report, Professor BrianWilliam Pogue and Professor Feng Jinchao of Beijing University of Technology visited the Institute of Biomedical Photonics and Sensor labs. Professor Brian William Pogue showed great interest in the optical circuit and future application of fluorescent perforation mapping system for cells and asked many related questions. He expressed the hope that both parties would conduct more technology exchanges and cooperation in the field of hyperspectral imaging.